Facades - they are the first feature of a building to be noticed, they determine its distinctive appearance and are often the subject of controversial debate. 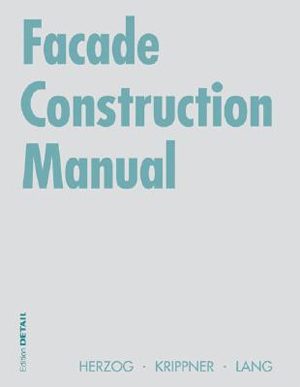 This new first edition of the Facade Construction Manual provides a systematic survey of contemporary expertise in the application of new materials and energy- efficient technologies in facade design, and represents an invaluable addition to our series of Construction Manuals. 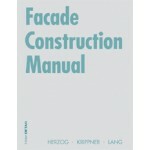 It surveys the facade design requirements made by various types of buildings, as well as the most important materials, from natural stone through to synthetics, and documents a diversity of construction forms for a wide range of building types. Over 100 international case-studies in large-scale, detailed drawings are presented in the comprehensive project section.